The entrance to Mijana is simple. The light brown wood gives the restaurant a modern and airy feel. 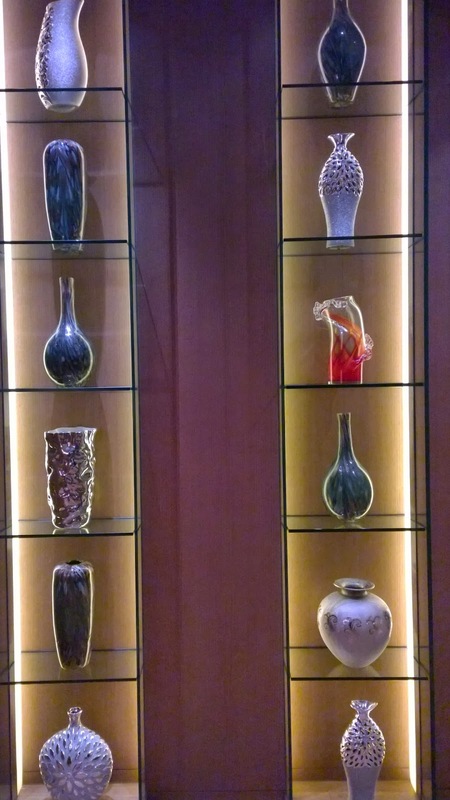 It is minimalistically decorated, with vases tastefully displayed. The part-open kitchen with glazed glass creates a somewhat surreal effect as you see shadows moving behind it. The sound of Nancy Ajram coming through the speakers tells you what you will be dining on this night. I am offered a seat outside and I am glad to take it - it is a gloriously cool evening. Hello al fresco dining. 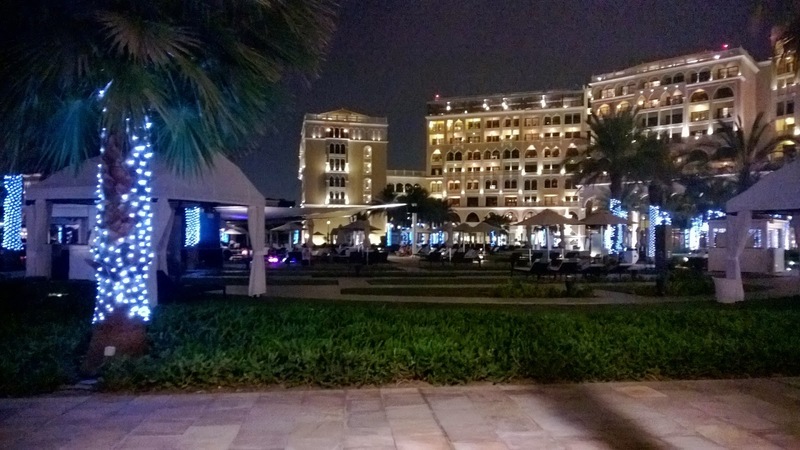 And what better place to sit outside than at the Ritz Carlton with its lit palm tree trunks and of course magnificently lit up facade. My blazer is taken and hung up - nice touch. The little things. First impressions! 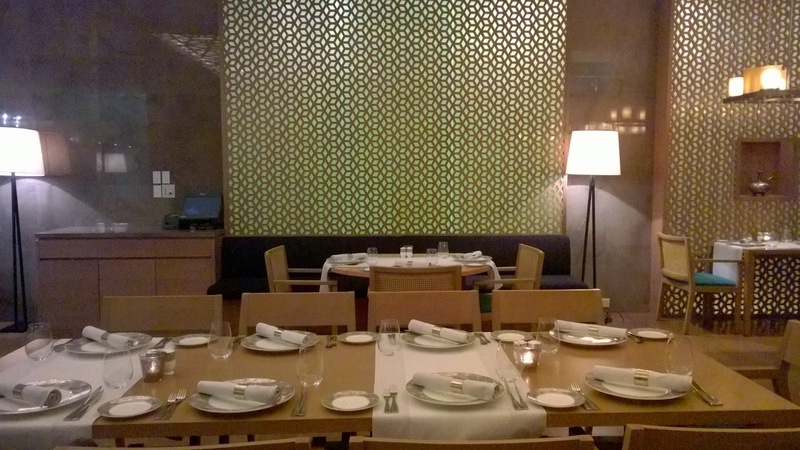 Inside dining affords you a more quiet and private evening if the mood should strike. There is a very relaxed vibe outside. To my left I see the shisha lounging area, but thankfully Mijana has it set up so that we are not bothered by the smoke. The air of simplicity continues as we are offered the menu - a 2 page menu full of Lebanese classics. Yes, this is traditional Lebanese. But don't be fooled by use of the word 'simple'. Mijana uses fine bone Nikko china from Japan - it is a restaurant where I am expecting some top notch dishes and equally matched service. It is not long before I experience the latter. Our waiter for the night, Ahmad, is likeable, easy going and engaging. Ahmad ensured an evening of sound service. For starters we opt for a cold mezze platter and a hot mezze selection - a pretty standard choice when having Lebanese food. But I am interested in seeing how they portion their dishes. A major challenge for me in a Lebanese restaurant is the larger than life portions which invariably sacrifice presentation. I also order a bowl of Adas (lentil soup) for my daughter. 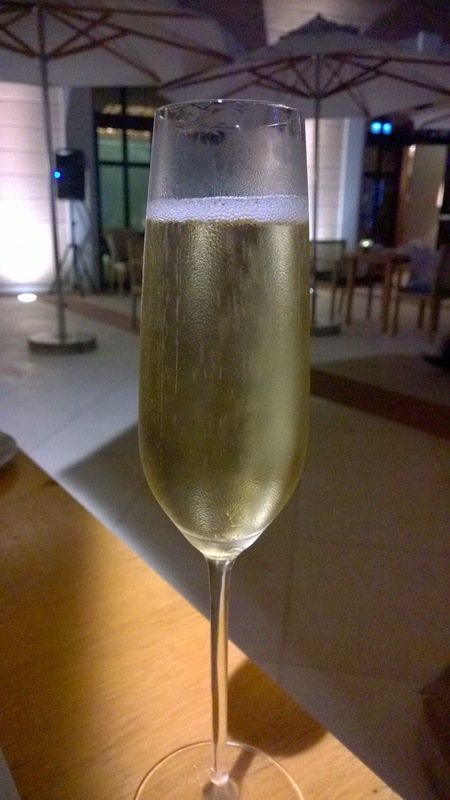 I start the evening though, with a glass of Henri Abele´ Brut Champagne. Even in the low light, the persistent beads are evident, as are the fine bubbles. A taste reveals peachy notes. 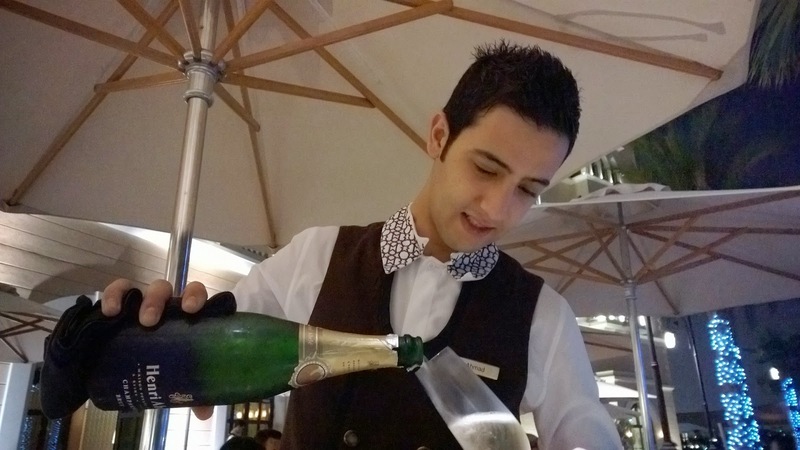 In the cool air (by Abu Dhabi standards) it is a gorgeous drink and nice choice of Champagne. Different in the market here. The dishes are served. My daughter's lentil soup's aroma wafts over the table to me. Wow. I beg for a taste. Welcoming hint of cumin. Not too heavy, just right. 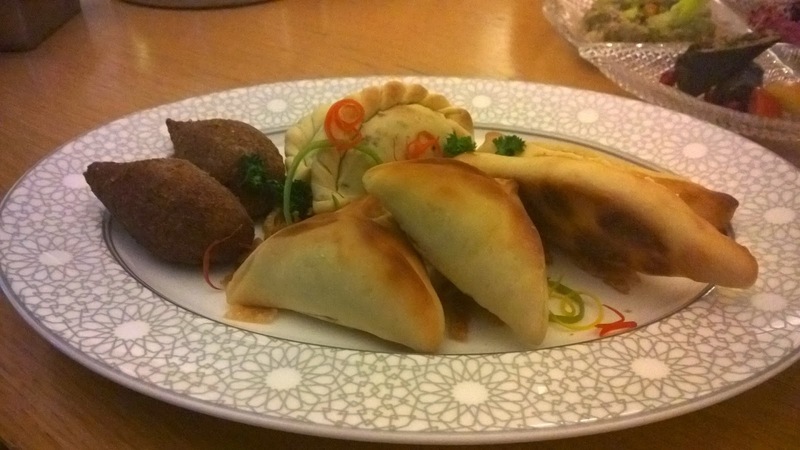 The hot mezze consists of Fatayer jebneh, Fatayer sabanekh, Fatayer lahem and of course Kibbeh - the right portion. However, it is the cold mezze platter that enthralls - a selection that invites more than intimidates. It is a platter with 9 very manageable servings of mezze including Beetroot moutabel, Muhammara, Hoummus, Warak enab, Labneh bil toum, Baba ganoush and some of the tastiest olives I have had in recent times. The muhammara is my favourite. It screams of freshness and has that obligatory zippy spiciness. 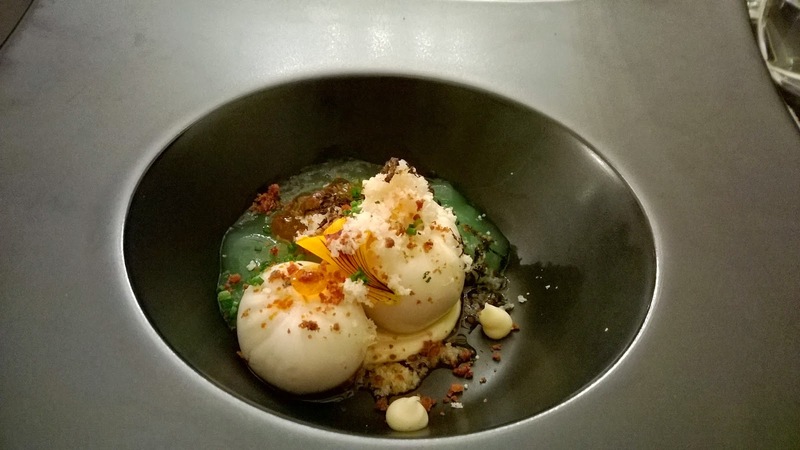 But the labneh is not far behind - super creamy with a very appreciable mint presence. 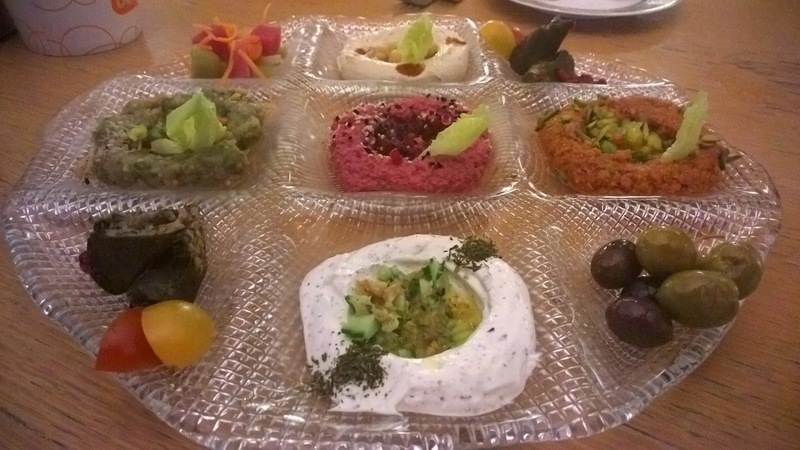 Finally, the beetroot moutabel also stands out from a very good selection of mezze. I also have the Habra niyah, which is raw minced lamb that is locally sourced. It is plated with some sliced onion, fresh mint, garlic sauce and fine cumin. It all makes for a great combination on the plate. The soon-to-be trio entertained all. At this stage the live music starts and Mijana shows me another reason why it is so popular. 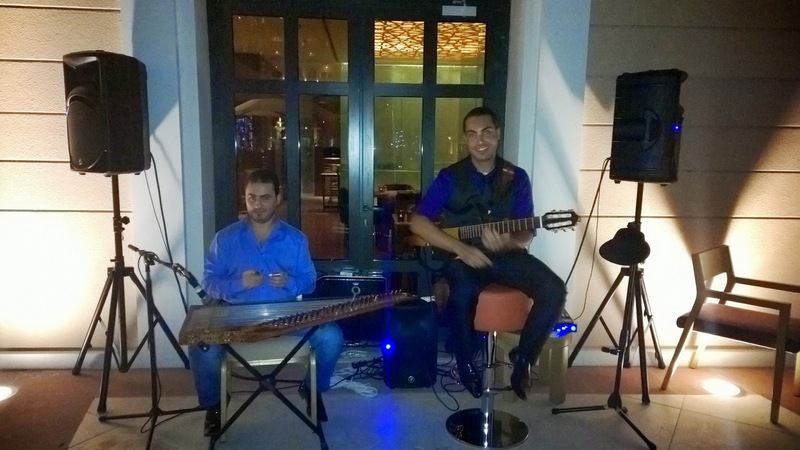 Two musicians liven up the evening by playing the oud and the kamanja. There is an appreciative number of guests, and it adds up to a warm and jovial atmosphere. The shawarma had lamb and chicken as per my request. 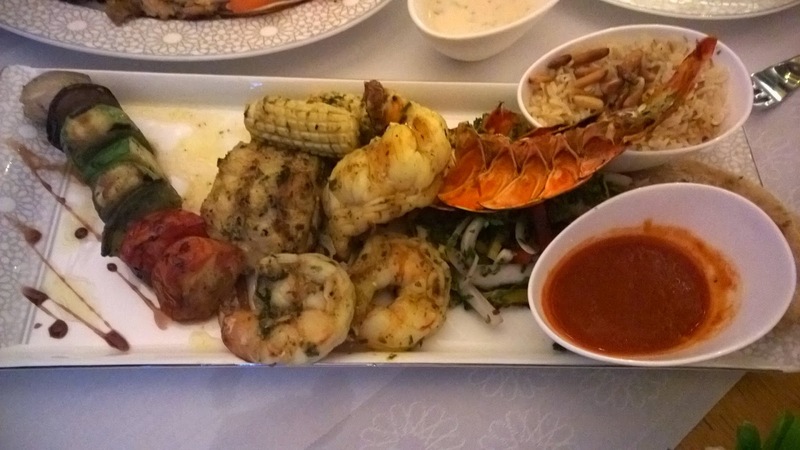 When it comes to main dishes, one has to have the grills, but rather than go with the highly rated meat grills, we order the Mashawee bahreeh, which is a grill consisting of Omani lobster tail, Shari meshui which is a local fish, calamari, prawn and shrimp. I am also curious to see what an 80 Dhs Shawarma costs - no, that is not a typo. 80 Dhs. The grill arrives and I am pleased I ordered it. While it serves one, it is big enough for two. It is served with a mild hot sauce that I find an interesting deviation from the usual lemon. Good a sthe sauce is though, I request some lemon. The lobster tail was grilled to my liking, with enough moisture to satisfy my taste. The shari meshui was a nice alternative to the ubiquitous hammour. Good firm texture. To enhance my seafood grill, I request a Chablis. 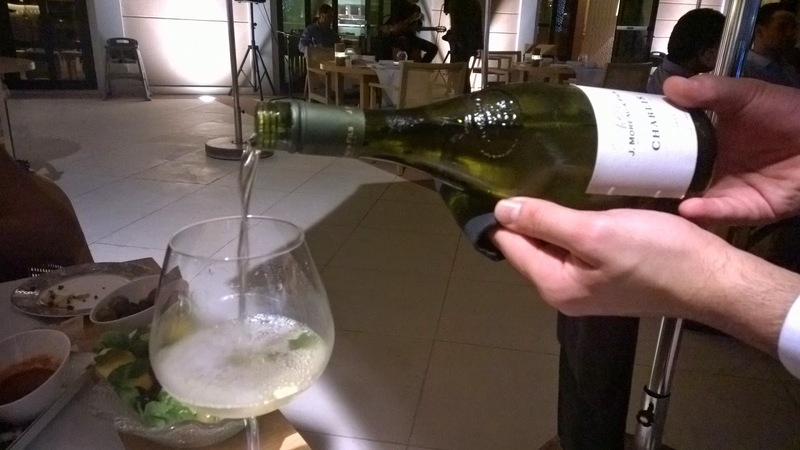 I am served a J. Moreau&Fils 2011. Good match. I have two glasses. The shawarama is colossal, plated and not rolled. I can see why it is priced at 80 Dhs! 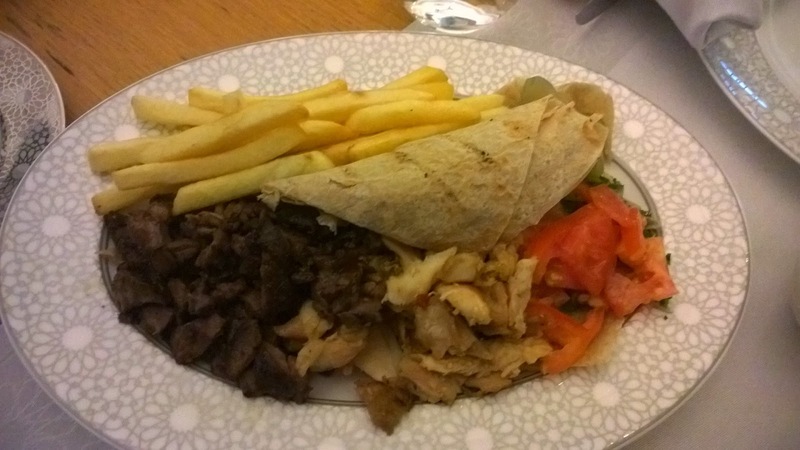 Everything you would want from a shawarma. It is a meal on its own. If you have one dessert at a Lebanese restaurant, it should be Um ali. 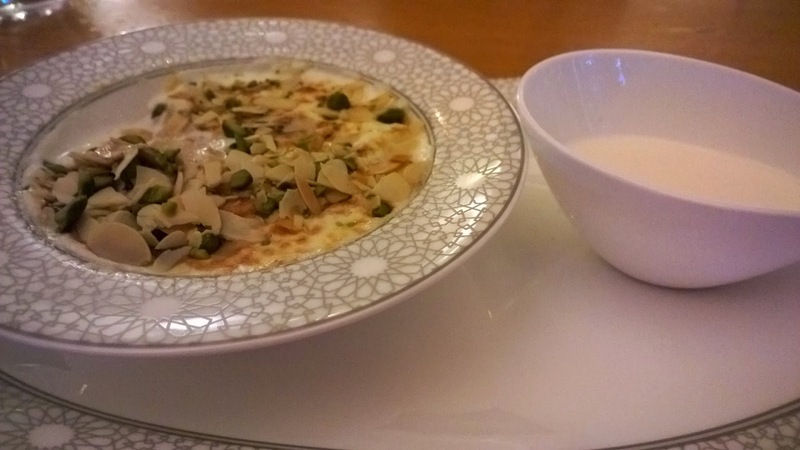 It is a very old school take on um ali, and I lap up the chopped almonds and pistachios. 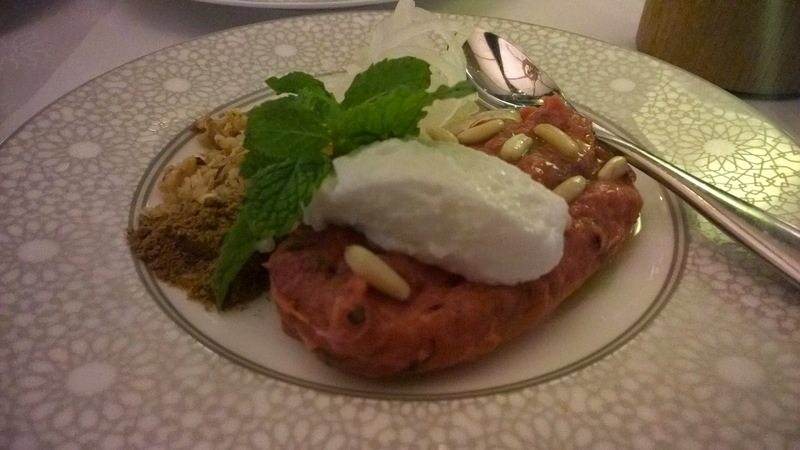 The um ali for me illustrates the success of Mijana - serving traditional Lebanese really well. No half measures. 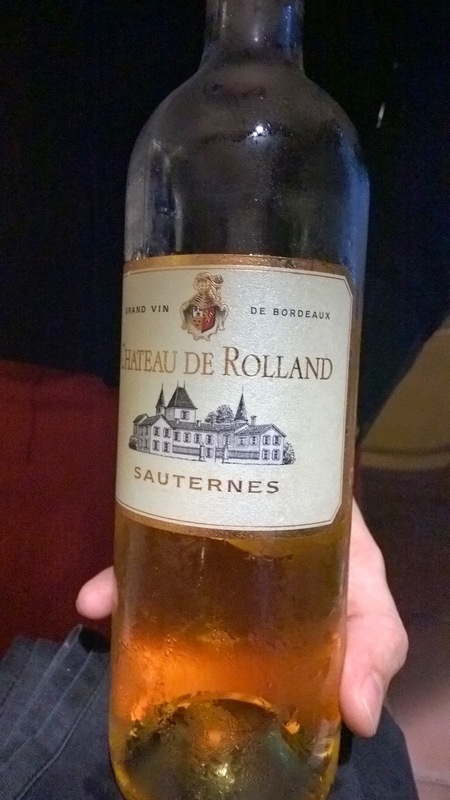 My Chateau de Roland dessert wine. My recommended dessert wine comes courtesy of the assistant sommelier, Jonathan, a native South African who grew up in the winelands of the Cape, so all things wine are in his blood. Along with Ahmad and the restaurant supervisor Jessica, who goes around to every table to engage with guests, the strength of Mi Jana is emphasized. 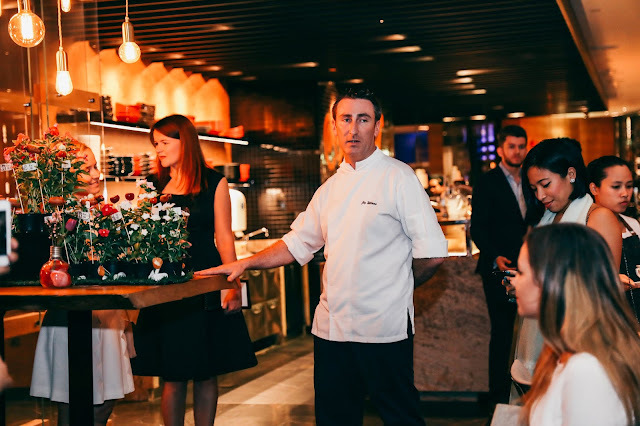 Great food served really well by staff who know how to connect; staff who see food as more than just food, but as a vehicle to creating a memory. This is not surprising since the restaurant manager as well as the assistant manager are all warmth and sincerity - people you could have a drink with. It all trickles down. Actually, on reflection, this is the great strength of the F&B outlets at the Ritz - the people. Secondly, menu items at Mijana are surprisingly very reasonably priced. I have had the pleasure of having an American coffee for 18 Dhs in very few truly 5* hotel restaurants in the city! So, great value is assured. Let us not forget the atmosphere that was so good, and Mijana was not even full. Dining with the palatial Ritz Carlton, there to be beheld is an occasion in itself. I can only imagine what it will be like in a couple weeks when the musical duo becomes a trio as they are joined by a female singer. It will be a case of a winning formula getting even better!